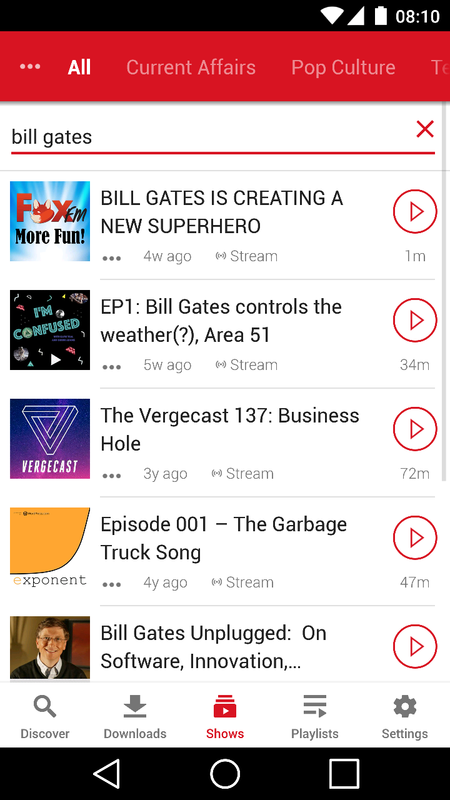 You swear you've heard Bill Gates guest in one of the podcasts you're subscribed to. But now it's impossible to sort through the thousands of episodes in your subscriptions just to replay it. If only you could easily search through your subscriptions. With personal search, now you can! Enter one or more keywords and personal search will find it for you, looking through episode titles and full shownotes. Pick any topic you're interested in and immediately see who covered it among your favorite producers. How does personal search differ from regular search? Regular search covers our entire catalog, allowing you to locate a particular series or episode. 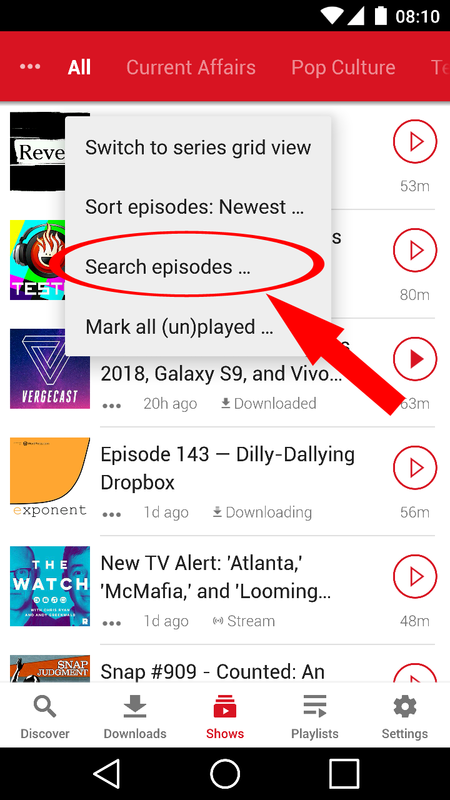 Personal search is scoped just to your stuff - either all of your subscriptions, one particular subscriptions category, or one particular playlist. This is often useful if you remember adding a specific episode to your playlist, or if you want to see if any of your favorite shows have covered a particular topic. When you search your subscriptions, all active episodes from all your subscriptions are searched, even if they were published years before you subscribed. When you search one of your playlists, all episodes in the respective playlist is searched. Both titles and shownotes are searched.